As we shared previously, last month Congress successfully came to an agreement known as the Bipartisan Budget Act of 2013. The deal set overall spending levels for the next two years and provided $63 billion of relief from the harmful spending reductions known as sequestration, split evenly between defense and non-defense discretionary (NDD) spending through FY14 and FY15. However, this agreement merely set the framework for the federal budgetâ€” it was still up to Congressional appropriators to determine the level of funding each of the departments, agencies, and programs would receive under the new $1.012 trillion overall spending level established under the deal. For the past month appropriators have been in negotiations to craft 12 individual spending bills as part of a larger omnibus spending package which incorporates each into a single piece of legislation. Earlier this week, details of the omnibus appropriations bill were announced and an additional $53 million was appropriated for the Carl D. Perkins Act (Perkins). This increase, best understood in comparison to the previously lower levels mandated by sequestration, will provide additional funding for the basic state grant program under Perkins which will help alleviate some of the fiscal pressures placed on states over the past few years due to austerity measures at the national level. The bill also proposes a change to the name of the Office of Vocational and Adult Education (OVAE) to the Office of Career, Technical, and Adult Education (OCTAE) among other general provisions included in the legislation. Both the House and the Senate have passed the omnibus bill by wide margins and it has been sent to President Obama for final passage which is expected shortly. As Congress considers the reauthorization of Perkins in 2014, this increase in appropriations is a vote of confidence for the CTE community and the opportunities they provide for students across the country. NASDCTEc and its partners applaud these positive developments and look forward to working constructively in the coming year to renew this important law. Representatives George Miller (D-CA) and Howard â€œBuckâ€ McKeon (R-CA) have each announced this week that they will not be seeking reelection. Both members currently serve on the House Education and Workforce Committee (HEW) and have had long distinguished careers in the House of Representatives. Â Interestingly both have also served as former Chairmen of the HEW and have been champions of education issues throughout their long service. These announcements come at a time when Senator Tom Harkin (D-IA) is also set to retire next year, leaving his post as Chairman of the Senate HELP Committee. These announcements will have larger implications for the composition and leadership of each committee in the next Congress, likely impacting the legislative priorities for each. NASDCTEc would like to thank each of these members for their many years of service and for their dedication to education issues throughout their long tenures in Congress. On Wednesday the National Governors Association (NGA) held its annual State of the States Address. NGA Chair and Oklahoma Governor Mary Fallin along with NGAâ€™s Vice Chair and Colorado Governor John Hickenlooper both offered remarks which laid out the associationâ€™s agenda for the coming year. 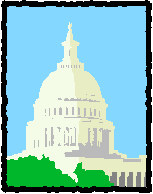 Although the association expressed frustration with recent Congressional gridlock, they outlined the contours of a partnership between the federal government and the states which they termed â€œflexible federalismâ€â€” something that they argued would give states greater flexibility in determining how best to implement and administer programs and policies to better fit their unique needs. This entry was posted on Friday, January 17th, 2014 at 3:49 pm	and is filed under Legislation, News, Public Policy. You can follow any responses to this entry through the RSS 2.0 feed. Both comments and pings are currently closed.